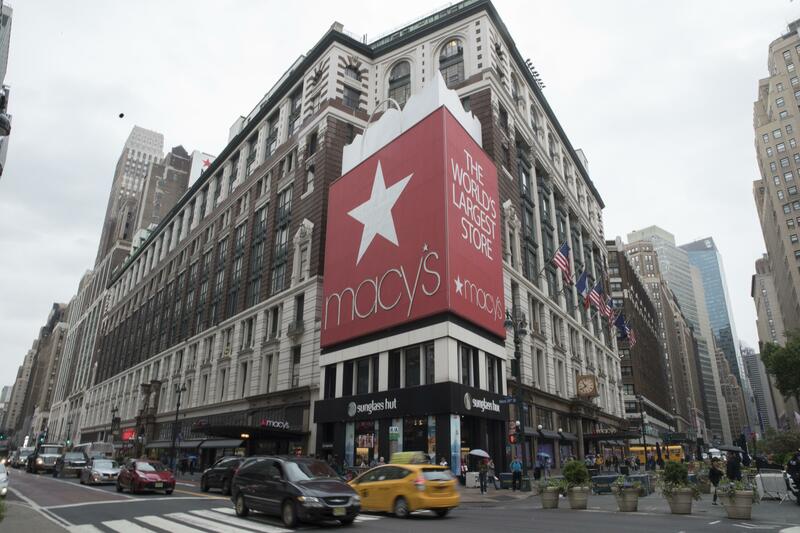 NEW YORK – Macy’s raised its annual profit forecast as the department store reported an unexpected increase in a key sales measure. But shares tumbled in early morning trading as investors worried about the slowdown in the momentum. Still, the report offered encouraging news for other department stores, which are aiming to reinvent themselves as shoppers move increasingly online. J.C. Penney and Nordstrom are expected to report their second-quarter earnings results on Thursday. Kohl’s is slated to release its results next week. Sales at stores opened at least a year rose 0.5 percent in the fiscal second quarter, slower than the 4.2 percent increase in the prior quarter. The figure includes Macy’s owned businesses as well as from licensed departments. The company blamed the slowdown in sales to a shift in a key Friends and Family promotion into the first quarter from the second quarter. Adjusting for that shift, Macy’s estimated that the sales measure would have been up 2.9 percent. Macy’s shares fell more than 11 percent, or $4.66, to $37.16 in morning trading. Shares have more than doubled over the past 52 weeks. Published: Aug. 15, 2018, 8:15 a.m.